Slice and Dice ‘Em! Start Segmenting your Lists! Creating A Segment! It’s super easy to segment. Just select a list, click on create a segment, select some attributes to target, and… viola! You can send a test directly to this subset of users. Embed and Landing Page Integration. 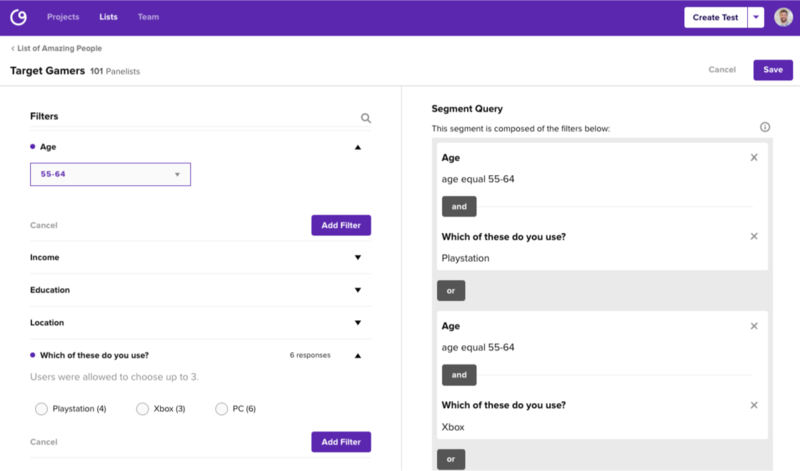 Now you can collect attributes directly through screen questions that you can include on your own website or post via social media. This makes for a hyper-focused audience to gather feedback from! Broad Visual Updates, Including New Tooltips. We’ve been honing in on a ton of visual updates since our last release, and we’re especially excited about our hot new tooltips. Have any questions, issues, or comments about this release? Email us at [email protected] so we can help you out!